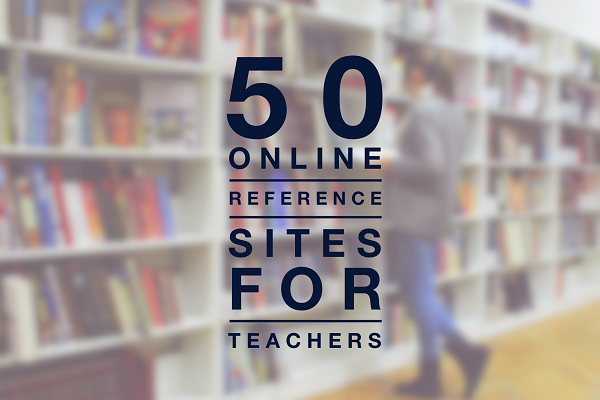 50 Online Reference Sites for Teachers | So You Want To Teach? Finding time to go to the library or conduct research for the classroom can be downright impossible for a busy teacher. Fortunately, there are plenty of reference materials on the web that can guide educators to lesson plans and other resources that can be used in the classroom. This article presents 50 online reference sites that would be useful to almost any teacher. Karen Schweitzer is a writer for TeachingDegree.org, a site that specializes in information on teaching degrees. The Educator’s Reference Desk – The Educator’s Reference Desk is an extremely valuable online reference site for teachers. 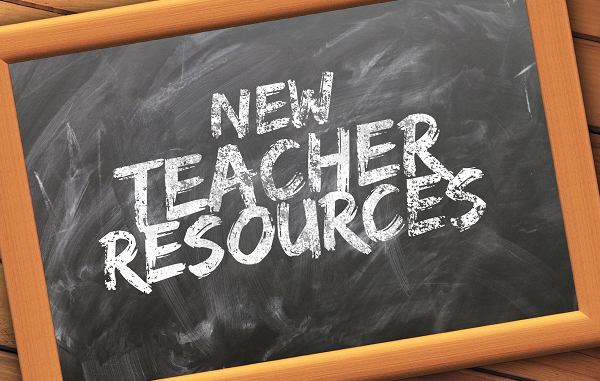 Specific features include lesson plans, teaching tips, and information about teaching education and certification. RefDesk – This award winning website is one of the largest and most useful reference sites on the web. Ref Desk offers news, fact checkers, reference books, historical information, calculators, converters, and links to other valuable resources. Questia – Questia is the world’s largest full-text online library. Not all of the resources on this site are free, but the majority can be accessed at no charge. Answers.com – This site provides information on more than four million topics though original articles, community-contributed articles, and leading reference publications. Virtual Reference Shelf – This website provides a huge collection of web resources compiled by the Library of Congress. INFOMINE – INFOMINE is a virtual library of Internet resources selected by college and university librarians. Info Please – This Pearson Education company offers a free encyclopedia, dictionary, thesaurus, atlas, and other reference materials. Teachers will especially like the FactMonster section of the site, which includes kid friendly resources, games, and quizzes. Wikipedia – The accuracy of Wikipedia is sometimes questioned, but this free encyclopedia is still a good place to begin researching various subjects. Scholarpedia – This site is similar to Wikipedia, but features information that has been reviewed by scholars. American FactFinder – This U.S. Census Bureau site is a great place to find economic, housing, population, and geographic data. Other special features include a reference shelf with digital versions of Bureau publications. OWL – Purdue University’s Online Writing Lab (OWL) is an excellent reference site for teachers who need writing and grammar resources. The site even includes a special section for instructors who teach grades 7-12. SparkNotes – Although this site is designed for students, it makes a good English teacher reference too. SparkNotes offers free study guides, literature summaries, grammar help, and other educational materials that can be used in the classroom. Language Materials Project – This UCLA site is dedicated to providing teaching resources for less commonly taught languages. Resources are available for a wide range of languages and learning levels. Federal Resources for Educational Excellence (FREE) – FREE hosts a large collection of free teaching and learning resources from federal agencies. Smithsonian Education – Designed specifically for teachers, the Smithsonian site hosts lesson plans and reference information. Covered subjects include art, science, history, and language arts. Kids.gov – Kids.gov is the official government portal for kids. The site provides free lesson plans and classroom activities for teachers in addition to kid friendly information about government, history, social studies, and related subjects. Wolfram MathWorld – Thought to be the most extensive math encyclopedia on the web, MathWorld is a fantastic reference site for teachers who need quality information for lesson plans. Art Teacher’s Guide to the Internet – This online reference serves as a companion to the book written by Craig Roland. Special features include downloadable classroom materials, links to virtual museums, and a list of valuable web resources. John Hopkins Medical Desk Reference – This online reference from John Hopkins is great for health teachers. In addition to an alphabetical list of illnesses and medical problems, the site also provides links to additional resources. International Center for Scientific Research – The ICSR is the world’s first science portal. The site is dedicated to guiding scholars, researchers, and teachers to journals, published research, and other science resources. The Farmer’s Almanac – The online version of the Original Farmer’s Almanac has many of the same features as the print version. Teachers can also access a word of the day, puzzle of the day, question of the day, and other daily activities. Astronomical Almanac – This interactive almanac from SkyAndTelescope.com provides astronomical data that can be customized by location. Data is available for any date between 1600 and 2400 A.D.
Merriam-Webster Online – America’s best-selling desk dictionary can be viewed online along with a virtual thesaurus. Other resources on the online version of M-W include a word of the day, word games, spelling bee information, and quizzes. Dictionary.com – This site features the largest free dictionary on the web. Entries include audio pronunciation and definitions from trusted sources. Encyclopedia.com – Encylcopedia.com provides free access to 49 encyclopedias. Other resources include free dictionaries and thesauruses. Children’s Encyclopedia of Women – This online encyclopedia, which was created by third and fourth grade students, includes a wide range of entries, important dates in women’s history, and research sources. Encyclopedia of Life – The EOL is an online reference that details each species of organism on Earth. Each entry includes text, images, and links to additional information. Artcylcopedia – This free encyclopedia doubles as a search tool to help teachers find images of fine art on the Internet. Bartleby – Bartleby is a great reference site for teachers. The site’s published materials include encyclopedias, dictionaries, thesauri, quotation books, and well-known reference guides. Bibliomania – The reference section of Bibliomania includes free digital versions of popular encyclopedias, dictionaries, thesauruses, and other reference materials. Internet Public Library – The IPL is a free online reference and learning environment. Resources that would be of interest to teachers include books, newspapers, magazines, reference materials, subject collections, and a list of trusted research websites. Library Spot – The Library Spot offers a comprehensive reading room, a virtual reference desk, and a directory of online and campus-based libraries. ERIC – The Education Resources Information Center (ERIC) is an online digital library featuring education research and information. ERIC is a good place to find information about teaching, learning, and education. Library of Congress – The Library of Congress provides more than 10 million online resources for teachers, including an online reference service, lesson plans, activities, encyclopedias, and digital collections. CIA Library – The CIA’s online library includes a digital copy of The World Fact Book, a directory of foreign leaders, maps, historical documents, and many other reference materials that can be used in the classroom. NY Times – Teachers can check on current events and search for news stories dating back to 1851 on The New York Times website. TIME for Kids – This weekly classroom news magazine offers online features, lesson plans, quizzes and other powerful teaching tools. Scholastic News Online – Scholastic’s daily news source for kids includes information about current events, lessons, games, quizzes, and downloadable materials for teachers. CNN Student News – CNN offers a student news section that includes news stories, videos, kid-friendly quizzes, and other special resources for teachers. Teachers TV – This site features more than 2,000 news and education videos made specifically for teachers. Other resources include worksheets and lesson plans. Calcoolate – This site has an online calculator that is easy to access and use. Calcoolate is also good for distance, temperature, weight, volume, and area conversions. World Wide Metric – This site offers a number of different conversion calculators to convert length, distance, weight, volume, pressure, and temperature. Universal Currency Converter – XE’s Universal Currency Converter can convert more than 85 world currencies. PracticalMoneySkills.com – Teachers who want to teach their class about personal finance will love the budgeting calculators, savings calculators, loan calculators, and credit card calculators that are available on this site. Nutrition Toolbox – The Nutrition Toolbox from Principal Health News includes a nutrition calculator/database with more than 40,000 entries. This online reference is great for teachers who want to teach students how to calculate the nutritional value of different foods. The Lesson Plan Library – This online library from Discover Education offers elementary, middle school, and high school lesson plans for math, history, science, language arts, and other traditional school subjects. Scholastic – Scholastic provides a wide range of lesson plans, units, teaching ideas, and tools for teachers. LessonPlansPage.com – This HotChalk site features nearly 4,000 lesson plans for Pre-K through the 12th grade. EdHelper.com – EdHelper is dedicated to assembling resources for teachers. The site provides lesson plans in addition to puzzles, word searches, mazes, and other games. Teachnology – With more than 25,000 free lesson plans and 7,000 printable worksheets, Teachnology is one of the largest and most comprehensive online reference sites for teachers. Karen is the About.com Guide to Business School. She also writes for OnlineClasses.org, an online college class resource. So helpful to have all in one place! Thanks! Thanks for this great list! I just had to recommend it to others! I would like to add another great site to this list (which by the way many many thanks for). As a teacher of English literature, I love to find new ways of making the material “hit home” for my students. It�s no mean feat trying to get a teen interested in Shakespeare as a lot of you might know. But, I recently came across a wonderful site � Shmoop that I really love. Shmoop has student and teacher resources for middle school to college level topics in literature and poetry. The site is written in a humorous tone that appeals to students without dumbing down the scholarly thought. Shmoop has study questions that I’ve used for class discussions and writing assignments, trivia, links to multimedia and hand-picked websites. There is quite a bit to enjoy at Shmoop. Have a look for yourself and � enjoy! Thanks, Casey,. I have been hearing quite a bit about Shmoop lately as well. 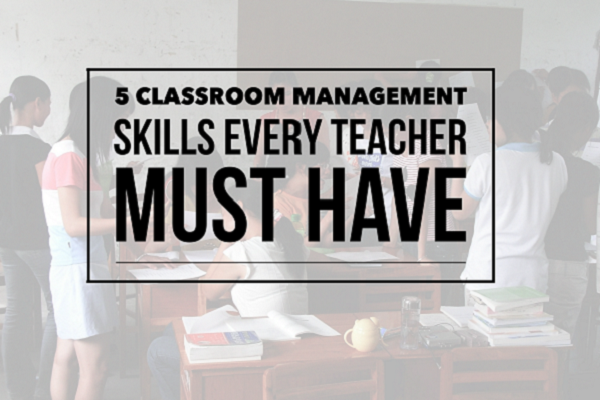 If I were a classroom teacher, I would seriously consider using tons of stuff from the site. Thanks for the addition! It is disappointing that you would include sites that are not authoritative like ask.com. SYWTT needs to do the research on these sites to provide teachers with sites that are current and credible. Many of your links give a 404 error.